After working with Phil on multiple brand projects, I can confidently say that he’s a true original. 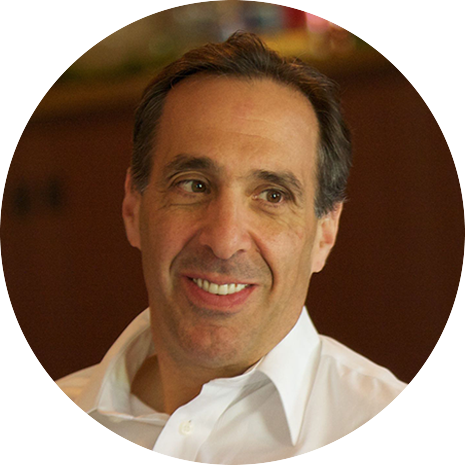 Phil is a fearlessly creative thinker, with forward-thinking ideas and enterprising solutions. He’s a fascinating entrepreneur, with fascinating ideas. Phil has proven himself to be a creative thought leader and driven manager who gets results. Working with Phil for many years, I have found him to be a valuable thought leader in e-commerce and digital marketing. This book is a must read for marketers who want to learn how to engage with their customers in the digital age. Phil has superb ability and insight to identify great marketing opportunities. 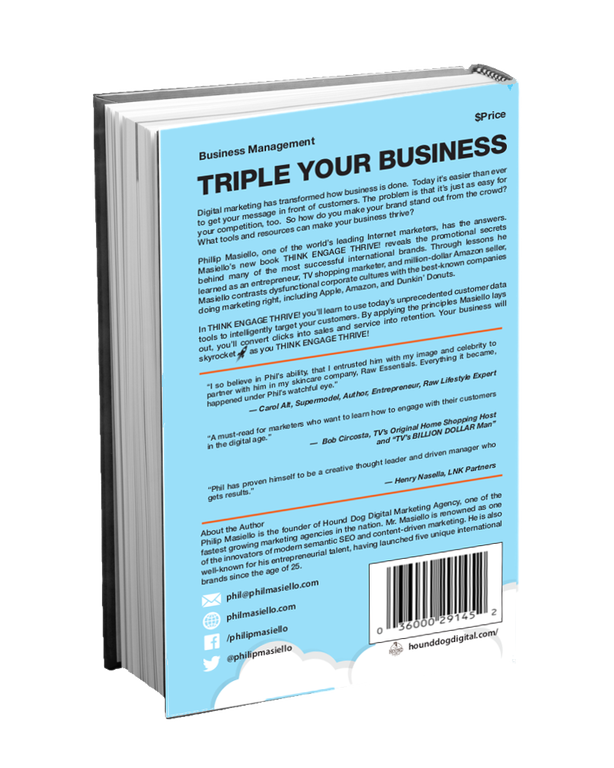 Providing solutions over products is the way to build a long term relationship with your customers and Phil is providing you with a roadmap. I so believe in Phil’s ability, that I entrusted him with my image and celebrity to partner with him in my skincare company, Raw Essentials, for many years. Everything it became, happened under Phil’s watchful eye. Philip Masiello is the founder of Hound Dog Digital Marketing Agency, one of the fastest growing marketing agencies in the nation. Mr. Masiello is renowned as one of the innovators of modern semantic SEO and content-driven marketing. He is also well-known for his entrepreneurial talent, having launched five unique international brands since the age of 25. But Mr. Masiello is also known as being the founder and CEO of several disruptive business models. Digital marketing has transformed how business is done. Today it is easier than ever to get your message in front of customers. The problem is, it is easier for your competition, too. So how do you make your brand stand out from the crowd? How can tools like Google Analytics help you engage with what customers love and do? Confronting a mountain of data, how can you make your business thrive? Philip Masiello, CEO of Hound Dog Digital Marketing, can tell you. 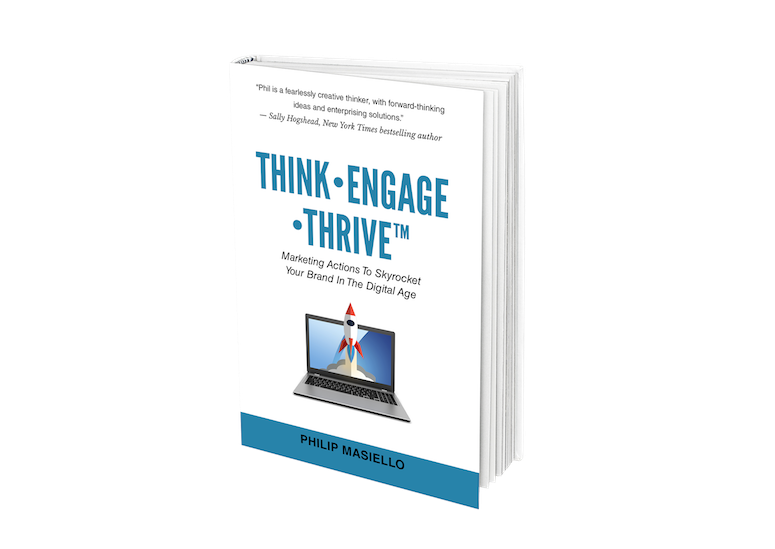 Fueled by decades of his experience in marketing and entrepreneurship, Masiello’s THINK ENGAGE THRIVE! tears down marketing models created in a data-poor age, offering common sense alternatives that take marketing out of the textbook, into the real world. Through stories of lessons he learned as an entrepreneur, TV shopping marketer, and million dollar Amazon seller, Masiello contrasts dysfunctional corporate cultures with the best-known companies doing marketing right, including Apple, Amazon, and Dunkin’ Donuts. A successful Digital Marketing Strategy will help you make the right digital decisions to maximize customer acquisition and minimize the spend. A digital marketing strategy should involve a review to check that all of your capabilities are in place to help your organization manage all of the digital touch points. Phil is available for speaking engagements, marketing seminars, Amazon selling seminars and digital marketing consulting.